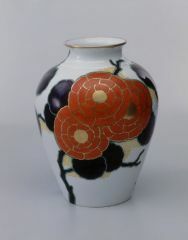 The amphora-shaped flower vase was produced in the porcelain factory of Langenthal (Canton of Bern) founded in 1906. 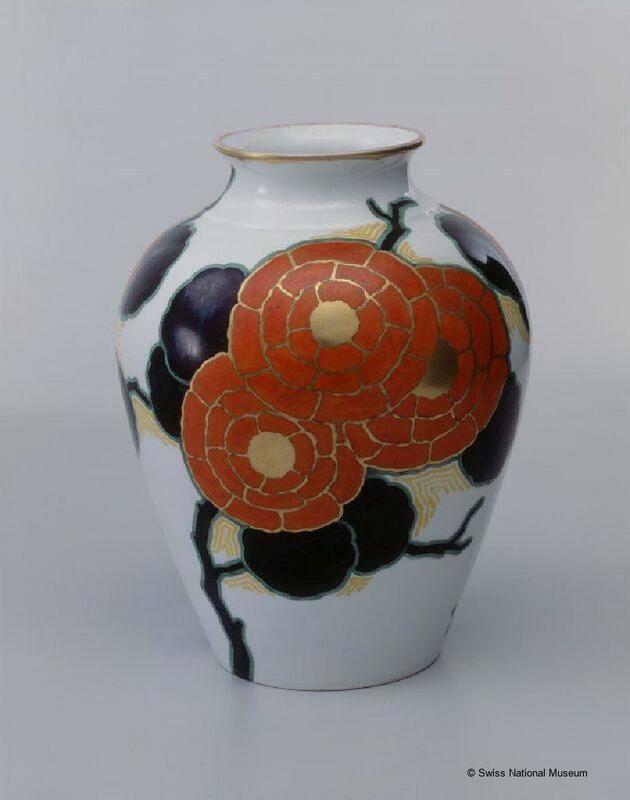 The vase featuring large, stylized flowers with an Asian touch was hand-painted in 1924 by Fernand Renfer, the company’s artistic director. Its modernistic look is inspired by the style called Art Deco which spread from France in the wake of the famous Parisian Exposition internationale des Arts décoratifs et industriels modernes. Renfer’s entry into the Langenthal factory in 1920 marked the beginning of an extremely creative phase in the 1920s and 1930s with an output of top-quality and aesthetically highly appealing ware. During the same period the enterprise also joined the design association Swiss Werkbund and regularly employed artists as designers. The vase was part of a major private collection of early Langenthal porcelain, which the Swiss National Museum was able to acquire in 2007.